President Kathy Heichel selected the Department of Ohio Scholarship Fund as the Special Project for the 2018-19 year. College Bound students can use all the assistance they can get when it comes to funding their education and the Department of Ohio makes it one of its mission to support children and decedents of those who served our country. Ohio Offers several opportunities to students to apply and receive funds. This year President Kathy will be introducing the "Female Veteran's Scholarship" to women who have served and are seeking resources for additional education. To learn more about our Scholarship Opportunities go to the the Scholarship Page. Applications and information will be posted soon. Equally as important as Ohio's Scholarship Fund is the Americanism and Government Test Trip. The American Legion and the American Legion Auxiliary together fund a trip to Washington DC and surrounding historical locations providing education and exposure the Nation's Capital. This trip stops in Gettysburg VA, The White House, Halls of Congress, Tomb of the Unknown Soldier and many more. Students are selected from the highest scores on the A&G Test that are given in schools. Once scored, essays are judged and students from all of Ohio are selected to attend the trip, paid completely by the Debarment of Ohio ALA and TAL. Its What We Do: The American Legion Auxiliary serves the veterans, families, and communities of Ohio by fostering citizenship, promoting service, and supporting democracy. We encourage all our members and our communities to support the men and women who have served their country in defense of freedom. We welcome you to join us in service at home. In the Spirit of Service, Not Self, the mission of the American Legion Auxiliary is to support the American Legion and to honor the sacrifice of those who serve by enhancing the lives of our veterans, military and their families, both at home and abroad. For God and Country, we advocate for veterans, educate our citizens, mentor youth and promote patriotism, good citizenship, peace and security. We are mothers, daughters, granddaughters, grandmothers, female veterans, and military wives. As the largest patriotic women’s organization in the world, we have a strong voice advocating for the needs of veterans and military families locally and nationally. Learn something new with our Americanism program. Volunteer to help preserve our local history. Share your valuable experience and expertise with young women who will become the leaders of tomorrow. 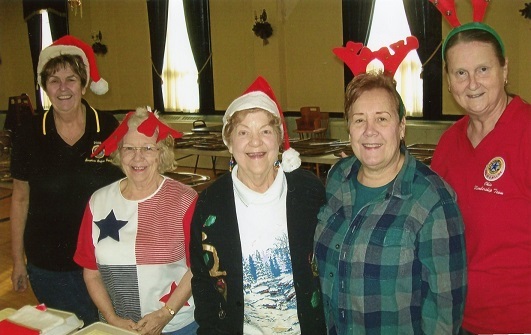 Wherever your passions lie, the American Legion Auxiliary of Ohio offers opportunities for both personal growth and volunteerism. Supporting America's youth through education scholarships is a tangible investment in the country's future. Auxiliary members generously contribute to supporting a variety of scholarship opportunities for relatives of honorably discharged veterans and deserving youth.